Hofmann and Kafka…provide one with rich intellectual companionship. Animals, strange beasts, bureaucrats, bouncing balls, businessmen, and nightmares populate this collection of stories by Franz Kafka. These matchless short works, all unpublished during Kafka’s lifetime, range from the snappy dialogue between a cat and a mouse in “Little Fable” to the absurd humor of “Investigations of a Dog,” from the elaborate waking nightmare of “Building the Great Wall of China” to the creeping unease of “The Burrow,” where a nameless creature’s labyrinthine hiding place turns into a trap of fear and paranoia. “Oh,” said the mouse, “the world gets narrower with each passing day. It used to be so wide that I was terri ed, and I ran on and felt happy when at last I could see walls in the distance to either side of me—but these long walls are converging so quickly that already I’m in the last room and there in the corner is the trap I’m running into.” “You only have to change your direction,” said the cat, and ate it up. This New Directions release of Investigations of a Dog provides an opportunity to reconsider many of Kafka’s greatest stories in a new book, with beautiful cover design, and to reexamine how a brilliant mind performed under spiritually backbreaking circumstances. Of course I owe much to Kafka. I admire him, as I suppose all reasonable people do. He is the greatest German writer of our time. Such poets as Rilke or such novelists as Thomas Mann are dwarfs or plaster saints in comparison to him. Anything by Kafka is worth reading again, especially in the hands of such a gifted translator as Hofmann. Compare this to any previous translation, and you’ll see, for a start, that there is no dilly-dallying with style; the prose is swift, direct and without obfuscation, as, one presumes, Kafka intended. He has cut through literary pretension to seek out the heart of Kafka’s work—the very ‘particles’ of his writing, as they have been called. His translation shows Kafka as a modern writer whose work was beyond that of anything written at that time. Mr. Hofmann, in his many excellent translations from the German, always makes brave choices. 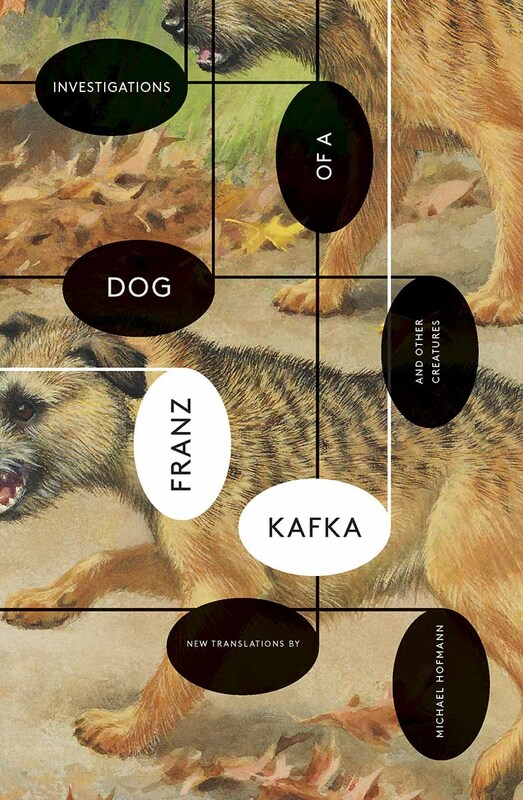 Michael Hofmann’s magnificent new translation restores its rightful place as one of Kafka’s most delightful and most memorable works. A stirring, singular work, now restored to its original beauty.